David Robert Loy is a professor, writer, and Zen teacher in the Sanbo Zen tradition of Japanese Zen Buddhism. He is a prolific author, whose essays and books have been translated into many languages. His articles appear regularly in the pages of major journals such as Tikkun and Buddhist magazines including Tricycle, Lion’s Roar, and Buddhadharma, as well as in a variety of scholarly journals. Many of his writings, as well as audio and video talks and interviews, are available on the web. He is on the advisory boards of Buddhist Global Relief, the Clear View Project, Zen Peacemakers, and the Ernest Becker Foundation. Loy is a professor of Buddhist and comparative philosophy. His BA is from Carleton College in Northfield, Minnesota, and he studied analytic philosophy at King’s College, University of London. His MA is from the University of Hawaii in Honolulu and his PhD is from the National University of Singapore. His dissertation was published by Yale University Press as Nonduality: A Study in Comparative Philosophy. He was senior tutor in the Philosophy Department of Singapore University (later the National University of Singapore) from 1978 to 1984. From 1990 until 2005, he was professor in the Faculty of International Studies, Bunkyo University, Chigasaki, Japan. In January 2006, he became the Besl Family Chair Professor of Ethics/Religion and Society with Xavier University in Cincinnati, Ohio, a visiting position that ended in September 2010. In April 2007, David Loy was visiting scholar at the University of Cape Town, South Africa. From January to August 2009 he was a research scholar with the Institute for Advanced Study, the Hebrew University, Jerusalem. From September through December 2010 he was in residence at Naropa University in Boulder, Colorado, with a Lenz Fellowship. In November 2014, David was a visiting professor at Radboud University in the Netherlands. In January through April 2016, David was visiting Numata professor of Buddhism at the University of Calgary. In June 2014, David received an honorary degree from Carleton College, his alma mater, during its 2014 Commencement. A video of his remarks on that occasion is available here. In April 2016 David returned his honorary degree to the College, to protest the decision of the Board of Trustees not to divest from fossil fuel companies. His letter to the Trustees is available here. You can read press coverage here. 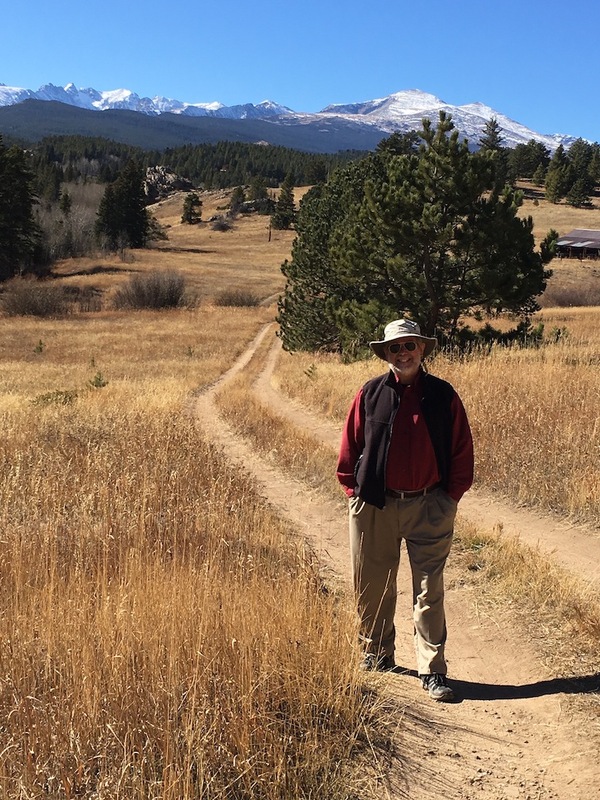 David Loy is one of the founding members of the new Rocky Mountain Ecodharma Retreat Center, near Boulder, Colorado. Please visit the website at rockymountainecodharmaretreat.org for more information. An article about the Ecodharma Center recently appeared in the local newspaper, the Daily Camera, which you can read here. David is married to Linda Goodhew, a professor of English literature and language (and co-author of The Dharma of Dragons and Daemons). They have a son, Mark Loy Goodhew.